"May the odds be ever in your favour." That's what citizens of the futuristic city Panem say to the unfortunate souls who are about to partake in The Hunger Games, a gruelling contest that crosses the bloody entertainments of ancient Rome with today's hyperbole-driven reality TV culture. Of course, the joke is that the odds are heavily against each participant's survival, with only one of the 24 youths selected as 'Tribute' being allowed to walk away as victor, but the odds are certainly stacked in favour of The Hunger Games, the film adaptation of Suzanne Collins' Young Adult novel. A large fanbase has already been established by the series' success in print form, a fan base desperate to see a faithful adaptation of the story they love, and that's what has been delivered, with Collins herself having a hand in the screenplay. It seems certain that The Hunger Games will satisfy those who love the books and will score highly enough at the box office to justify further instalments in the franchise. Whether or not the film is actually any good, however, is another question entirely. To these eyes, coming to the story afresh, it looked like a world half-realised, populated by thin characters and built upon a narrative driven by arbitrary twists and motivations. Little about Panem makes sense, despite vague talk of a rebellion that resulted in the central Capitol (where the wealthy and powerful live) ruling over 12 oppressed districts, and our lack of engagement with this universe is partly down to director Gary Ross. He gives us the odd CGI-enabled establishing shot but then quickly cuts away to tight, handheld shots that rarely stray far beyond the face of lead actress Jennifer Lawrence (to the detriment of her fellow contestants, who never really register). 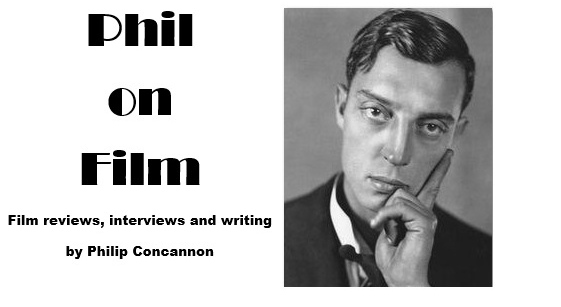 His direction is messy but he does establish a lively sense of momentum that carries us through much of the exposition-heavy opening hour without giving us time to pick holes in the logic. It's also fun to watch these actors at work, and Ross has an eye for a good performance, having already shown as much in Pleasantville and Seabiscuit. The Hunger Games does occasionally suffer from the sense that everyone involved appears to be acting in a different movie – a cartoonish Elizabeth Banks is much less effective than a marvellously oleaginous Stanley Tucci – but this opening half of the film does feature the film's most neatly handled scenes. Lenny Kravitz and Woody Harrelson both impress as the two mentor figures who take Lawrence's Katniss under their wing and teach her both how to survive and how to manipulate the publicity aspect of the games to her advantage. These actors have precious little to work with, but their professionalism and charisma goes a long way to giving their characters an extra dimension. The problem is that Katniss' survival is never in doubt, which saps a great deal of tension from the movie. Instead, the film tries to draw emotional weight from her relationship with the other characters, such as Josh Hutcherson's lovelorn Peeta and Amandla Stenberg's Rue, but it's nowhere near enough, and by the time the games actually begin the film has failed to gives us any reason to care about the outcome. The second half of the picture is a disaster, hampered immediately by the horrendous shaky-cam approach that renders the close combat scenes incomprehensible (perhaps a tactic to obtain a more kid-friendly rating) and by the increasingly nonsensical twists that turn the story into a series of incidents rather than an involving, flowing narrative. A contestant laughably disguises himself as a tree; the gamesmasters throw in some fireballs and (cheap-looking) CGI dogs to attack the kids; the rules are changed twice in the last few minutes of play. It all seems so flimsy and meaningless. Of course, many will argue that all of my gripes are answered in the books, but if you have to refer to the source material to defend a film then I'd suggest it's a sign of a failed adaptation. For comparative purposes, I'm tempted to look not at the novel but at another film, Kinji Fukasaku's Battle Royale, which similarly set a group of schoolkids against each other in a fight to the death. The Hunger Games could have been as witty, thrilling and shocking as that picture, but it lacks any sense of courage or imagination. The one thing this strangely muted and flat picture has in its favour is the star power of Jennifer Lawrence, who gives a commanding and empathetic display in the lead role and effortlessly sells Katniss' key moments – but what's the point of having an actress who can sell the small moments if the film can't sell any of the big ones? 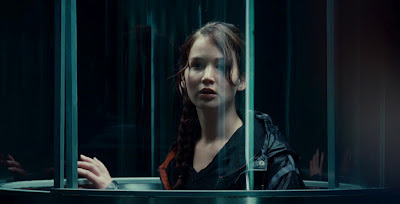 The Hunger Games lacks a single shot that resonates, a single moment that evokes some sense of danger or exhilaration. This franchise may be a license to print money, but it's a film starved of inspiration.